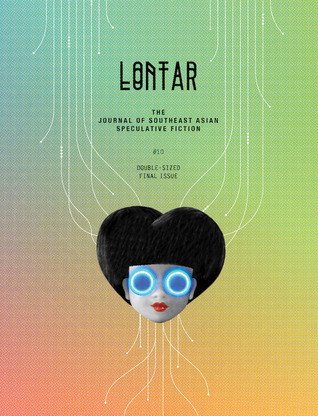 This final double-sized issue of LONTAR presents speculative writing from and about Singapore, the Philippines, Malaysia, Hong Kong, Korea and Vietnam. and speculative poetry by Kevin Minh Allen, Davian Aw, F. Jordan Carnice, May Chong, Genevieve DeGuzman, Lawdenmarc Decamora, Joses Ho, Judith Huang, Sithuraj Ponraj, Bronwyn Sharman, Lakan Umali and Natalie Wang. Also included is a special supplement: the exciting conclusion of Dean Francis Alfar’s brilliant novel Salamanca, winner of the Palanca Award Grand Prize for the Novel and the Gintong Aklat Award for Literature. He feels what it feels. The ocean. The songs. The food. The cold. The cold that is not cold, just like the invasion that is not an invasion, permeating the smooth, slippery folds of his brain and taking up permanent residence in the reefs and caves of his mind. It knows what he knows. The beatings. The executions. The desires. The quiet that is not quiet, a silence that is not silence, but a searing defiance, a hatred that courses silent and red through the rushing waters of the boy’s veins. They blink again, and they are one. The cold and the silence. The ocean and the wavering flame. The anthropozoologist nods, and the boy’s father unfolds his arms. The boy and the creature watch him impassively. “How do you feel?” says King Mansour. “Extended,” says Haidar, as the anthropozoologist pulls the needles from his arm.